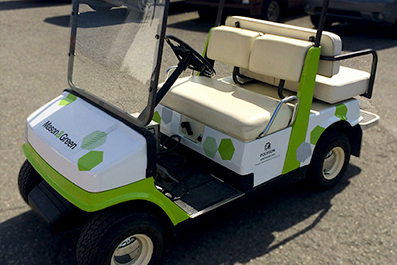 Not only does the wrap make your company’s services stand out from the competition, it also enables potential customers to capture your contact information. 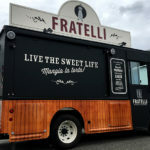 Your vehicle wrap should not only be colorful and distinct, it should also present a message that can be quickly digested by anyone reading it. 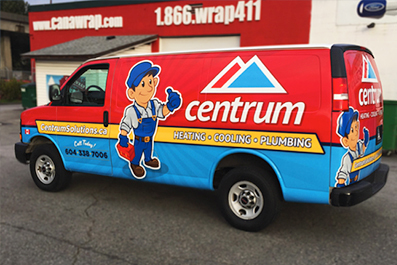 Consider a car wrap one of the easiest ways today to make your company’s products and services instantly known in your local community. 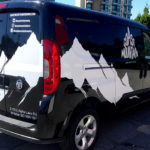 You can obtain the same impact from a vinyl wrap that you can achieve from radio and print advertising, or by advertising online. However, you won’t incur the expense like you will if you choose to use radio and print. You will also get an instant response, or recognition. 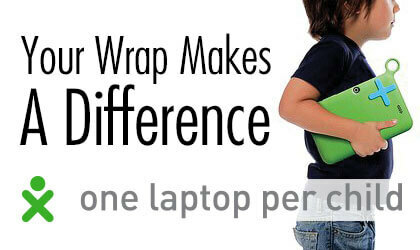 Review the examples below, and see for yourself why using a wrap can increase your influence locally. 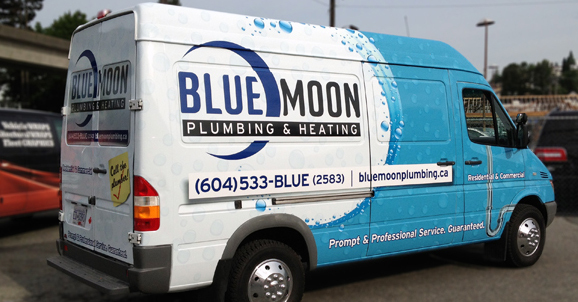 The above image showcases the right colors, an easy-to-read message, and identifiable graphics that make for a great vinyl wrap. 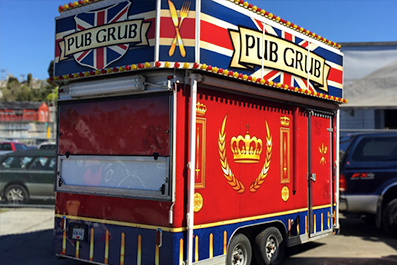 Research shows that you get more business when your food truck is colorful and easy-to-spot. This vinyl wrap meets the mark in this respect. #3 – Do You Need A Carpenter? 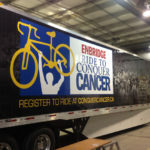 This vehicle wrap is featured on the company’s van as well and its trailer. 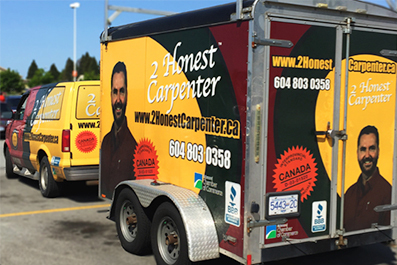 You simply won’t forget who to call or visit online if you need a carpenter. 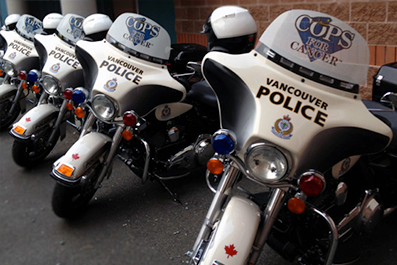 The police also use 3M vinyl wraps to support good causes. 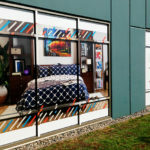 Besides vinyl wraps for vehicles, you can use the coverings for murals, banners, garage doors, and fleet designs. There is no limit to what you can accomplish when you use this form of promotional advertising.